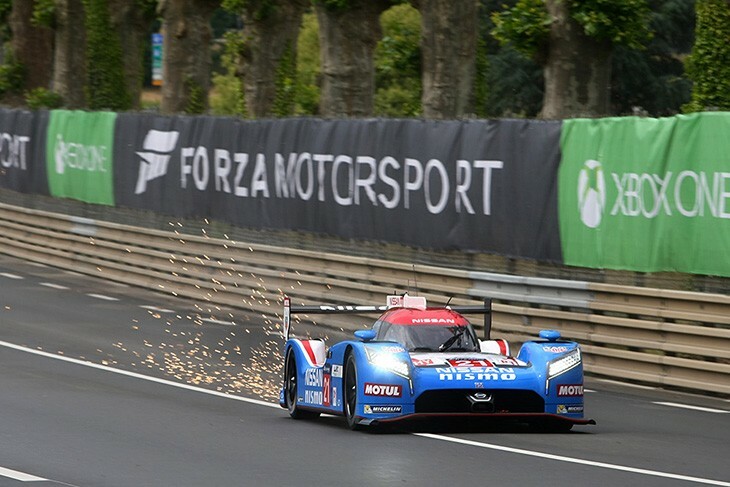 This time last year, the sportscar world was gearing up for a Le Mans for the ages, with the potential of Audi, Toyota, Porsche and newcomers Nissan battling it out at La Sarthe for the win. Nissan in particular, was the unknown, with its trio of radical GT-R LM NISMO which until Le Mans hadn’t raced. 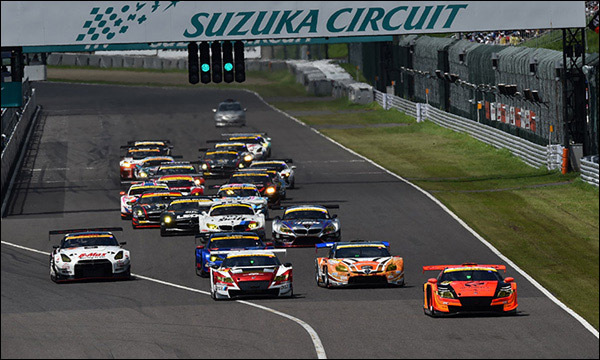 May 2015 was the calm before the storm for the Japanese marque’s Le Mans hopes, and what a storm it turned out to be. Ordonez was drafted in to drive the retro-liveried #21 GT-R LM NISMO while in the midst of a campaign in Japan, driving full-season in Japanese F3 and a partial season in the GT500 division of Super GT. For the Madrid native, just the chance to race in such a variety of prestigious events and series was a dream come true in 2015. He’d been racing in Japan since 2014 for Nissan, and was just getting settled out there. Ordonez loved the culture difference and level of racing. Being swamped by Japanese fans he said, was an eye-opening experience. “If you show them respect and that you want to learn and adapt to their culture, they really like you,” Ordonez told DSC. “It’s the right way to go racing. Over 50,000 people go to every race, thousands even turn up for each test you do and they give everyone food, presents, it’s something I will never forgets. I’ve kept all the presents, but for my other teammates it’s normal. They’re used to that. Then in February 2015, he got the call from NISMO boss Darren Cox, telling him that he’d be part of the LMP1 programme on the day of the ACO conference in Paris. It was everything he’d ever hoped for, securing a drive with fellow GT Academy graduate Mark Shulzhitskiy and Super GT ace Tsugio Matsuda at the biggest race in the world, in LMP1 with a factory team, representing Nissan on a grand stage. 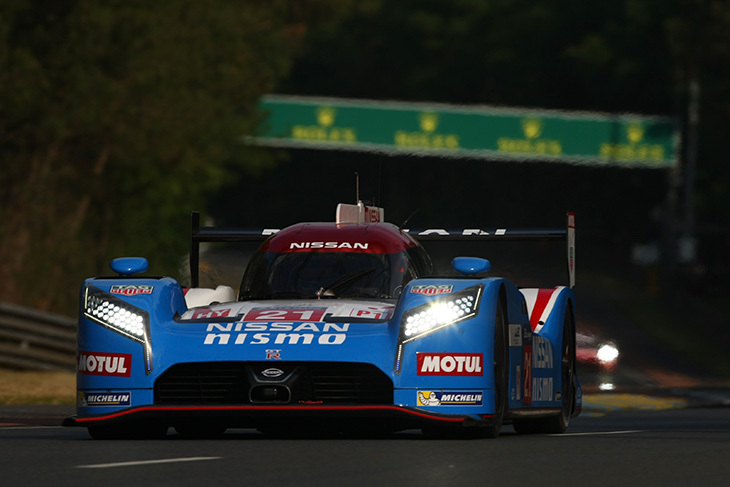 When the team turned up at Le Mans for the Test however, the car was far from the LMP1 pace. After months of development, and testing, but no racing, it was clear early on that the Nissan crew had a lot of work to do to try to make the car competitive. 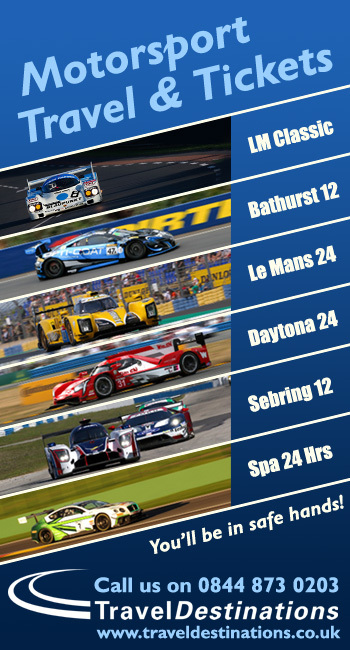 Race week was better, but still not nearly enough to challenge the likes of Audi, Porsche or Toyota. The absence of a functioning hybrid system in the car led to a major issue with the braking system and there were issues too with the overall setup of the car, a need to steer clear (literally) of the kerbs, costing the car massive chunks of time every lap. By the end of the 24 hours, the #22 crossed the line, but unclassified after multiple issues, and the other two GT-R LMs would retire. 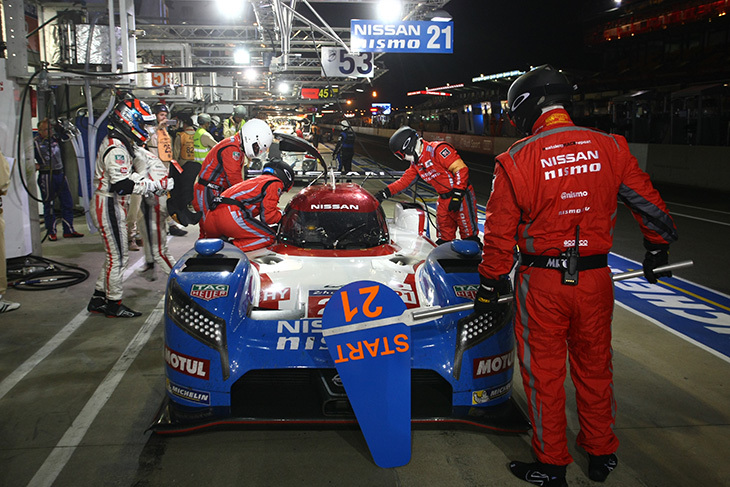 Ordonez’s car stopped on track during the night after 115 laps of La Sarthe. A wheel came off while Matsuda was driving and the clutch then failed from the wear caused by the subsequent attempt to return to the pits at low speed. Nevertheless, Ordonez is particularly proud and positive about last year’s Le Mans when sitting down and reflecting. “I was really glad to get the contract, but we all know how it ended up, and that’s a shame,” he said. “It was a really challenging car to drive, and the problem was that I only drove it for a day in America before Le Mans so I wasn’t ready. When speaking more specifically about the GT-R LM, which was the quickest car down Mulsanne throughout Le Mans week and ran using a very sophisticated Nissan V8 power unit, Ordonez says that it was a car the had potential. “It was a really fast car on the straights and it had a really powerful engine. Despite what a lot of people said, it had good aero efficiency on the straights too, it was just really hard on the corners. “We didn’t have enough time to develop the concept and design. 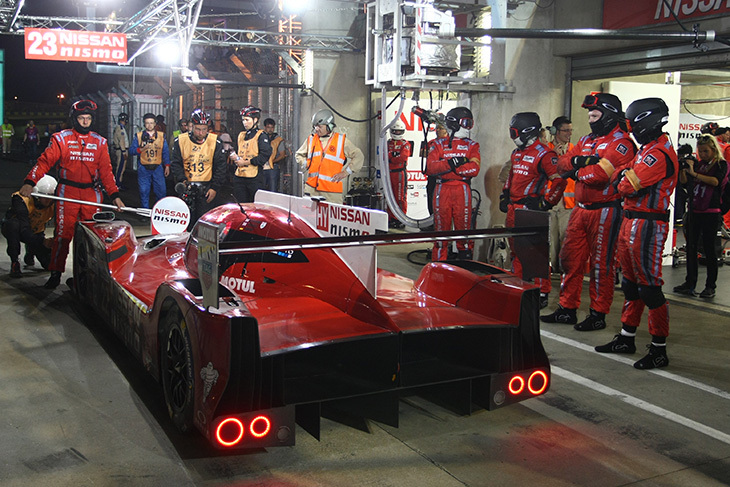 Most will agree that despite the disappointing outcome, the team spirit within the Nissan garages was also very positive. “The team effort from the last mechanic to all the engineers. They barely slept for months!” exclaimed Ordonez when asked what he’ll take from the experience. “They were really really tired a long time before the race even started, and they deserved so much more. But obviously this sport can be cruel, and after years of build up it boiled down to not having enough time. “Individually every person was fully invested to do their best. What I saw during the Le Mans week was incredible. I can’t stress enough how hard everyone worked, the guys literally didn’t sleep at all some nights during race week and gave everything they had with all three cars. Coming in the first year with three cars was much harder than it looked. “And I will never forget the spirit between me and my teammates too. Our motivation and drive to push that car forward was indescribable. 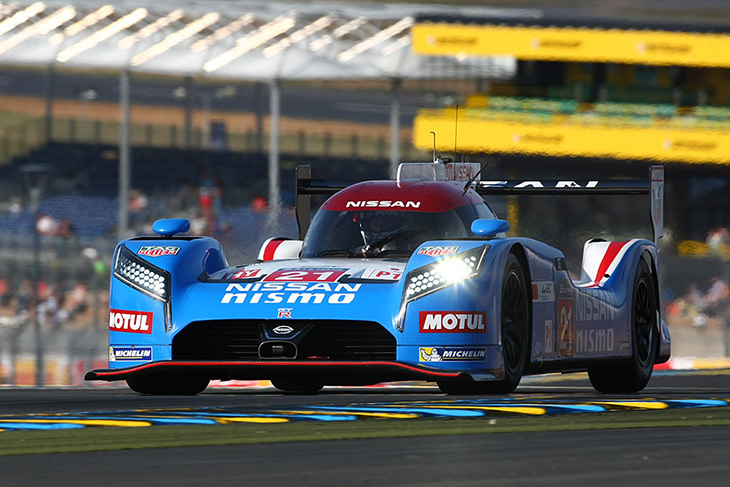 But with NISMO opting to pull the plug on the LMP1 programme ahead of the 2016 season, we’ll sadly never know what that car was truly capable of; or whether it could have won Le Mans as was promised. 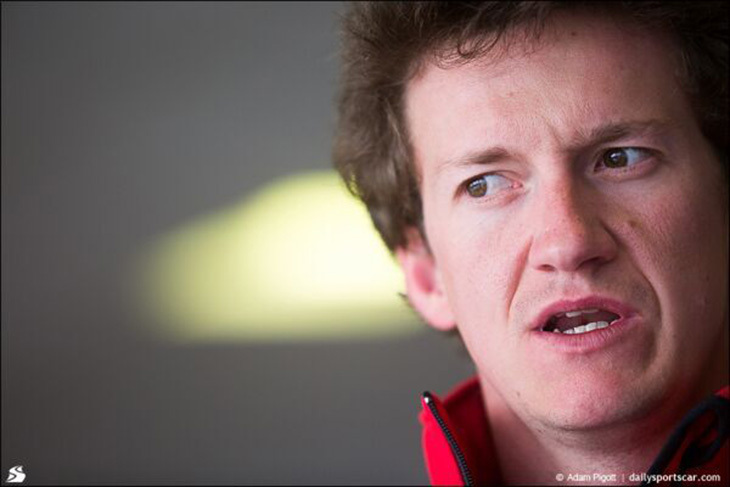 This year Lucas Ordonez is back racing in Europe with RJN, in the Blancpain Endurance Cup alongside Mitsunori Takaboshi and Alex Buncombe.